Regina joined Meeting Street Schools in May of 2014 as the Director of Accounting and Finance. She oversees our organization’s general accounting and financial reporting functions, and has over 18 years of accounting experience, project management and human resources. Prior to joining Meeting Street Schools, Regina was a consultant for Blackbaud Inc., where she assisted non-profit clients with the design and implementation of their accounting databases. Regina worked with a wide variety of non-profit clientele; however, her focus was on K-12 schools. Regina chose to join MSS because the students we serve are representative of her childhood educational system. 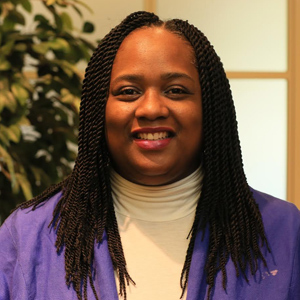 Although she is working in an administrative role, she loves that she is contributing to MSS’s mission of educating under resourced students. She is a firm believer that all students deserve the opportunity to receive a quality education. Regina holds both a Master of Accountancy and a Bachelor of Business Administration in Accounting degree from Texas A&M University – Corpus Christi. She is an active member of Adams AME Church where she serves on the Steward and Women’s Missionary Society boards. Regina loves to travel and spend time with her family.